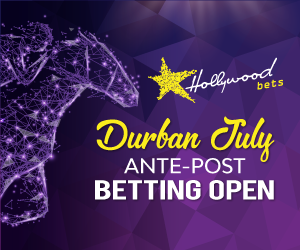 Best bets and value tips for racing from Kenilworth on Tuesday 16th April with selections provided by Winning Form as well as their back page tipster, Magic Tips. DRAMA QUEEN showed lots of speed in her second course appearance, when jumping from stall gate 9. She was backed into favourite in that run and being by Ashaawes, she should relish the extra ground here. The stable elect from the Bass-Robinson yard looks the one to beat, with Domeyer up. HEAVEN'S EMBRACE has shown plenty of ability in her 5 career starts thus far. She drops back to the mile today, a trip where she picked up her 2nd career victory and with Marcus up today, she looks hard to oppose in this company. THE SILVA FOX has shown good competitive form in recent times and he is clearly running off a fair rating currently. He stays all day and appears to have struck up a good partnership with this young apprentice. He is slightly better off at the weights when measured against the 1, who happens to be his latest conqueror and with that in mind he rates the one to beat here. SIX DEGREES steps up to the 1800m today after showing up relatively well over shorter. The well-bred son of Silvano will be looking for this sort of ground and if he is past those respiratory issues he experienced in his last start, he must be included here. ROCKET GIRL is a consistent galloper who never seems to let the side down when things go her way. She gets a decent draw today after drawing badly in her last two starts and on her C&D record in this sort of company, must be a huge runner.